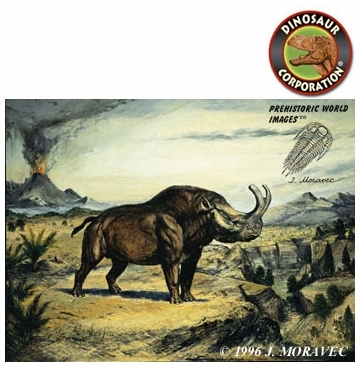 Home | DINOSAUR PAINTINGS | Brontotherium Titanothere | Brontotherium, Oligocene, Photograph 11" x 14"
Brontotherium, Titanothere - Prehistoric Mammals - Oligocene epoch. Size 11" x 14". Original oil painting by paleo-artist Josef Moravec.